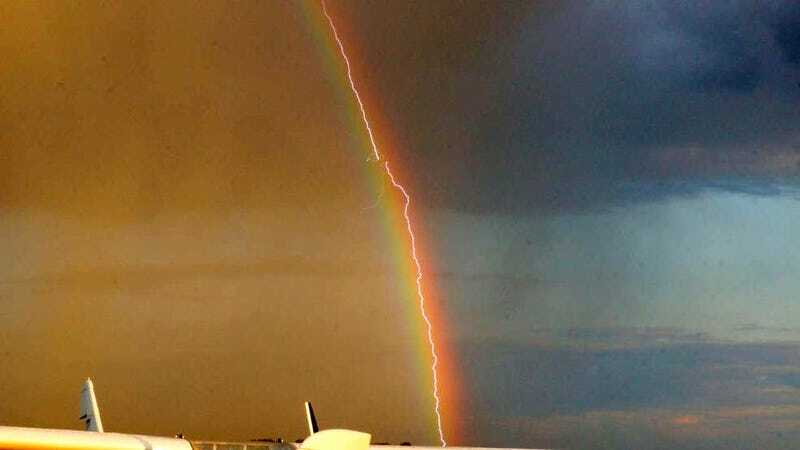 Stunning photo of a lightning striking an Boeing 777 that seems to be in the middle of a perfect rainbow, taken by German photographer Birk Möbius. The image was captured yesterday from an aerodrome in Taucha, Germany. Check out the zoomed image to see the plane being hit by the lightning.